In the year since a gunman killed five officers, Dallas police have been buffeted by the retirement of a chief, a contentious pension battle and a continuing exodus of officers. Despite these challenges, two brand-new officers say they’ve landed in the right place, in a city where they feel they can do some good. 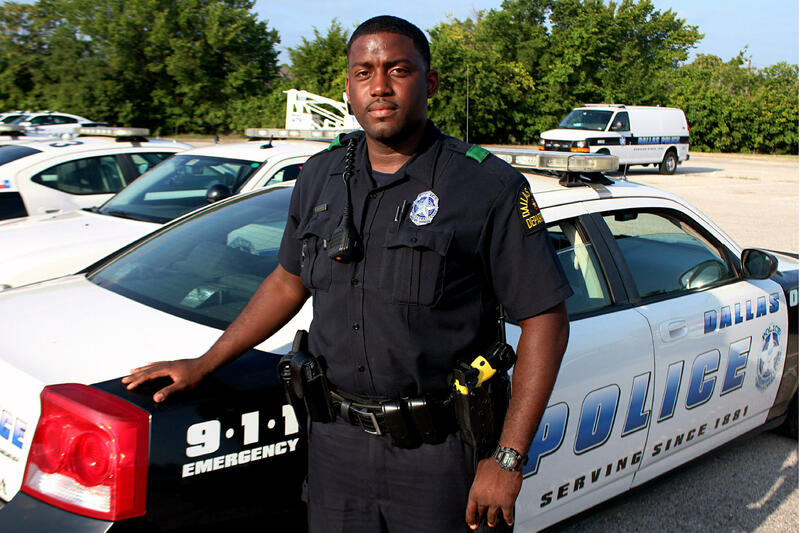 The July 7attack happened just eight days after Barber enrolled in the Dallas Police Academy. Like the rest of the country, Barber watched, horrified and unable to help. Like his classmates, he decided to stay the course and enter the department despite the gravest reminder that officers face risk every time they go to work. Over the last year, since the shooting, the Dallas Police Association has seen a three-fold increase in officers using counseling services. 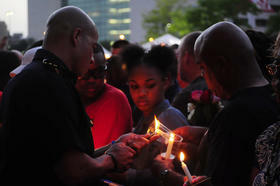 The department also crafted new strategies to help officers cope with the trauma of the unprecedented event. At the same time, the police force has continued to struggle with staffing shortages. With low pay and a troubled pension fund, for years officers have been leaving faster than they can be replaced. Now, the department is almost 400 officers short of the 3,500 its leaders say are needed. “It’s almost like no officers have had a chance to grieve, and we’ve lost so many officers. You have so many officers working overtime and double shifts to try to maintain the police presence in the city that there has been no down time for officers,” said Sgt. Mike Mata, president of the Dallas Police Association. Mata says those diminished resources leave officers more vulnerable. 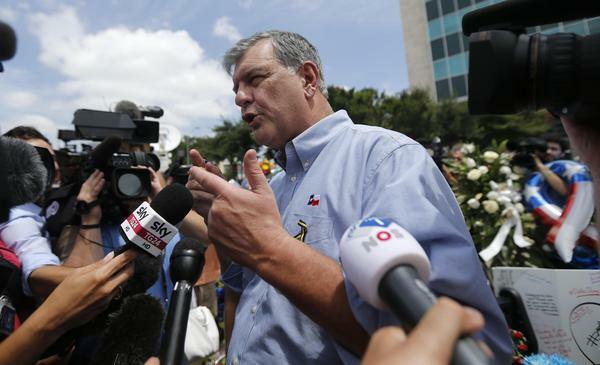 “This city loves its police officers,” Dallas Mayor Mike Rawlings says. Rawlings points out that the city has begun increasing the pay scale that for years has remained below that of neighboring departments. After a protracted battle, a pension deal was struck in May, though the mayor acknowledges a lot of people aren’t thrilled about it. After the shootings, many Dallas officers bought extra body armor — a vest that goes on top of the department-issued vest in order to withstand the kind of high-power rifle rounds the Dallas shooter used on July 7. This spring, the Texas Legislature allocated money to help departments buy vests like that. 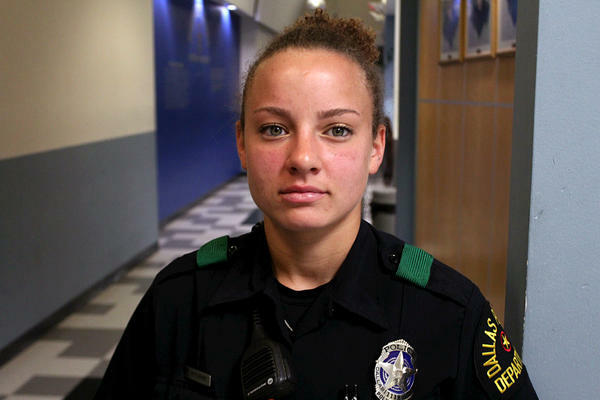 Officer Chelsea Montanino bought her own. She also started the police academy eight days before the attack. As she prepped for to hit the streets at 11 o’clock — the beginning of the “deep night” shift at the Northwest police station — Montanino said she’ll carry that extra body armor in the trunk of her cruiser. In the nearly three months she’s been on patrol, Montanino says there’s no “normal” when you’re a cop: One night it’s mostly traffic stops and the next night, you’re rushing from call to call. The hardest calls, she says, are domestic violence cases. She carries candy in her bag in case kids are at the scene. Always, she says, you have to be alert. Just a few days ago, Montanino says she was patting down a suspect and found a gun in his waistband. Nothing happened, but it was a stark reminder. Neither does Montanino dwell on the problems in the department much – the attrition problems, or the pension mess. That, she says, is for leadership to figure out. She just wants to focus on being a good cop, which she says is more than just chasing bad guys.